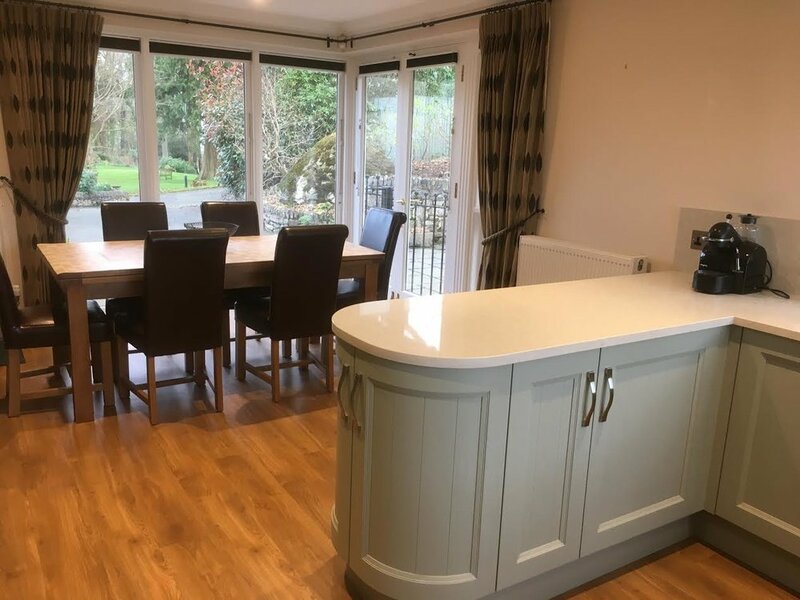 "All that's left to say is - LAKELAND KITCHENS - you did a fabulous job!" 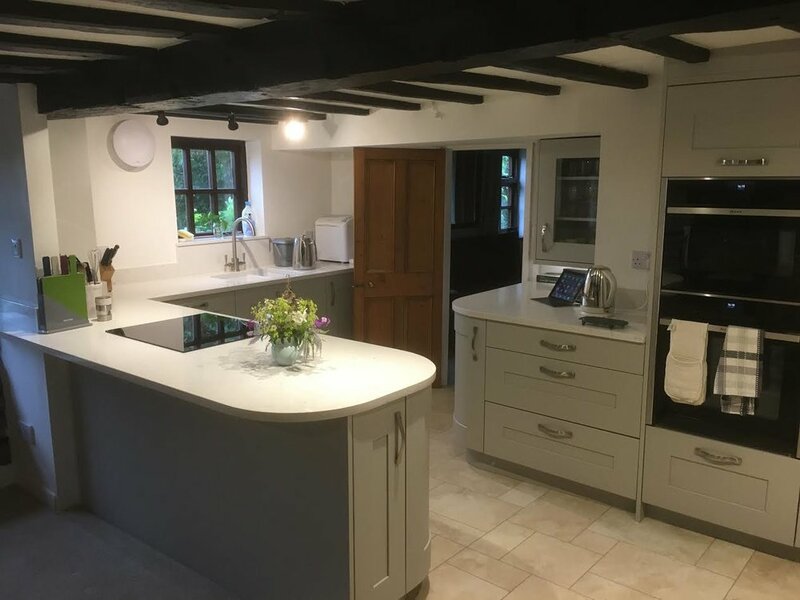 who is thinking of purchasing a new fitted kitchen"
I am writing to thank you all for your efforts delivering our new kitchen, Alison and I are extremely pleased with the finished product. I think you have probably worked out that my professional life is spent dealing with disputes over construction projects that have gone wrong. I most certainly did not want any problems with a project in our own home. 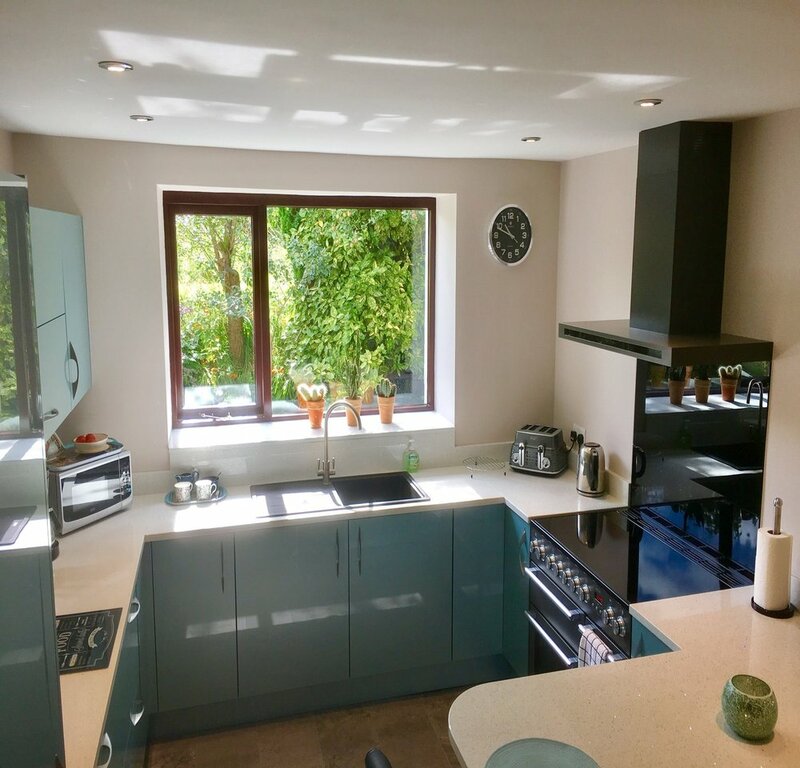 It took a huge leap of faith on my part to effectively hand over the keys to our home and leave you to deliver our new kitchen in our absence but I shouldn't have worried. 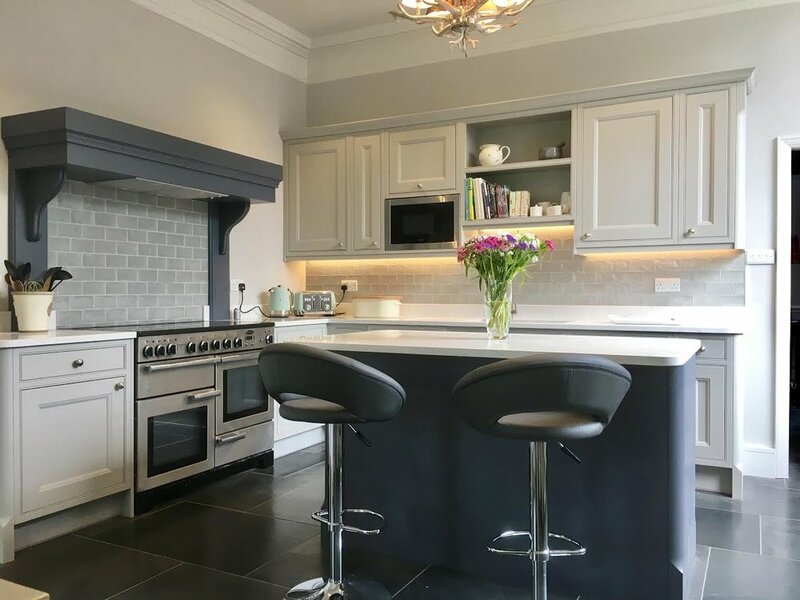 We picked your company based on recommendations and after visiting your showroom in Kendal. 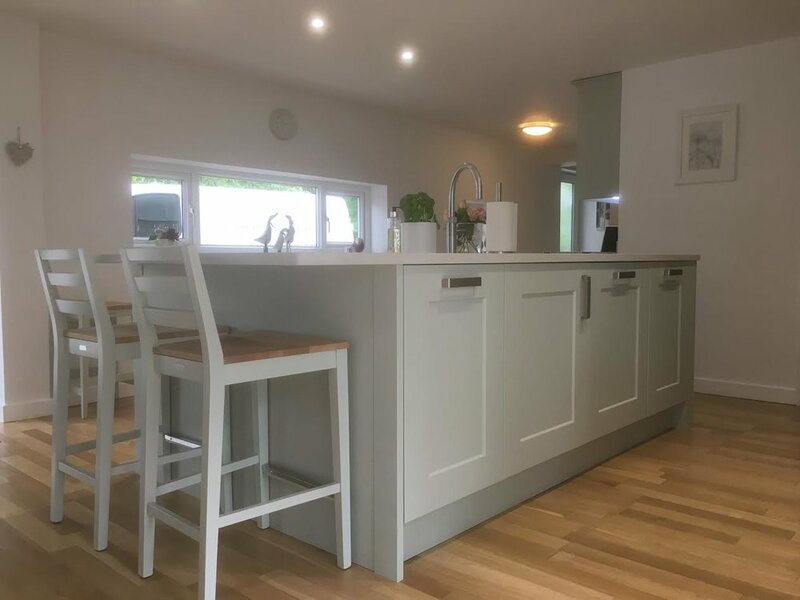 We wanted a good quality kitchen, well designed and installed with care and our entire experience in dealing with your team has been excellent. 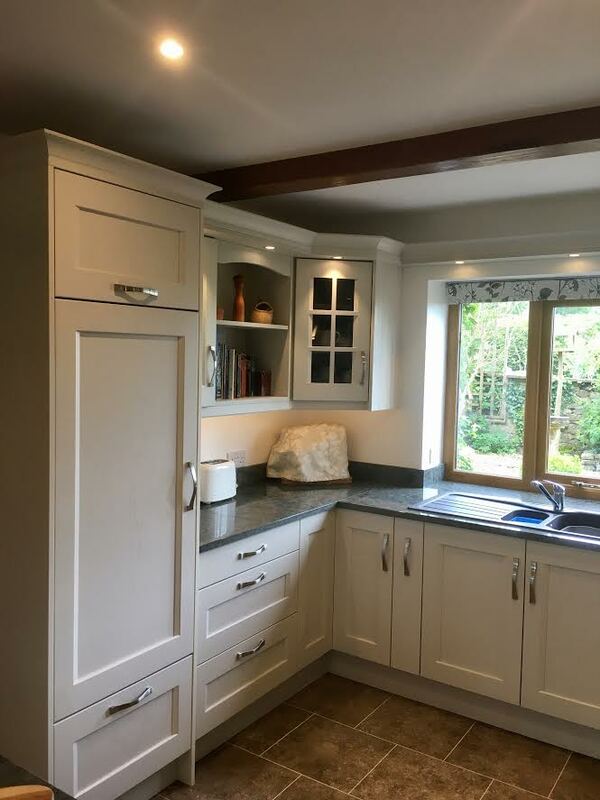 We would not hesitate to recommend your team to anybody who is thinking of purchasing a new fitted kitchen. Just a note to express our thanks and satisfaction. 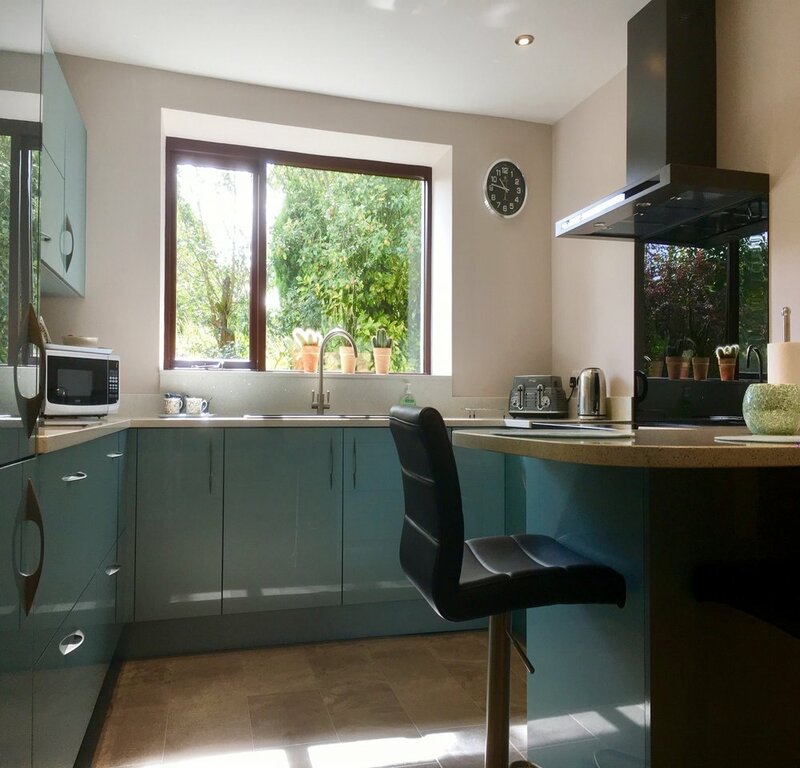 We are delighted with the kitchen that you produced. From first to last your teamwork ensured that the project was well thought out and delivered like clockwork. The tradesmen that you bring in, Neil, David L, David N, and Tony are all first class. 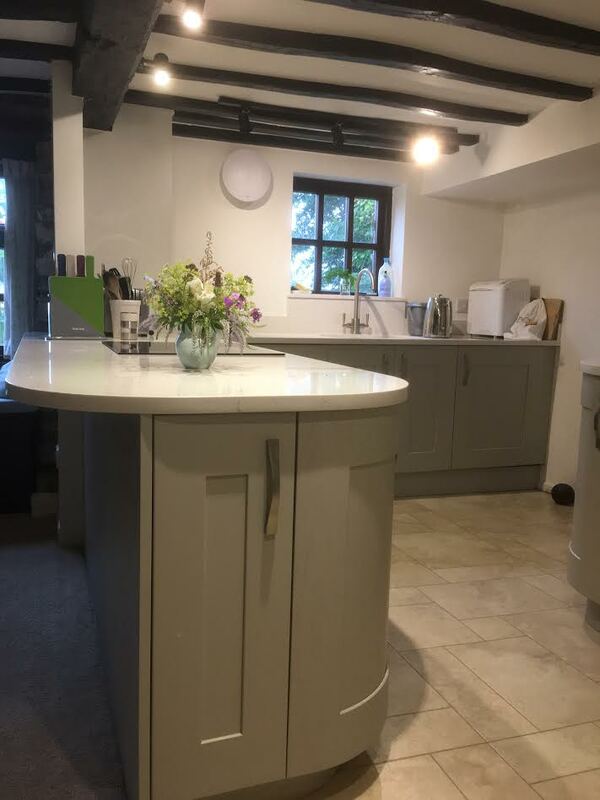 Lakeland Kitchens will have a rosy future with Mel in the showroom, Matt on design, Ian producing the good and Nigel co-ordinating. You are a fantastic team!! 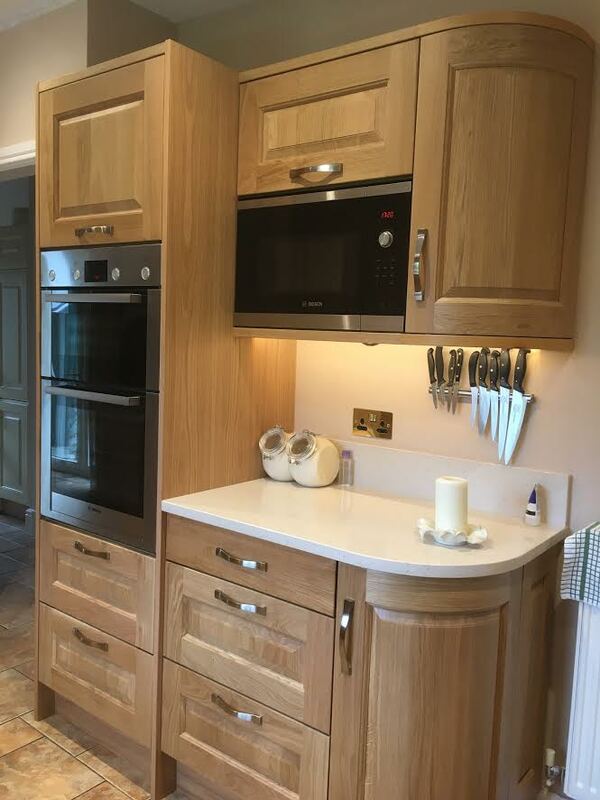 "A job well done and an amazing kitchen"
We just wanted to say a massive "thank you " to all at Lakeland Kitchens. From our first introductions to the final signing off it has been a pleasure to deal with you all. Special thanks to Sam for a great design to suit our life style, to Nigel for guiding us and answering our queries. To Jim kitchen fitter EXTRAORDINAIRE who took such care and showed great consideration to our other tradesmen. Not forgetting Dan who along with Nigel navigated our doorways with the delivery. Also thank you to all the office staff who answered our calls and passed on messages. 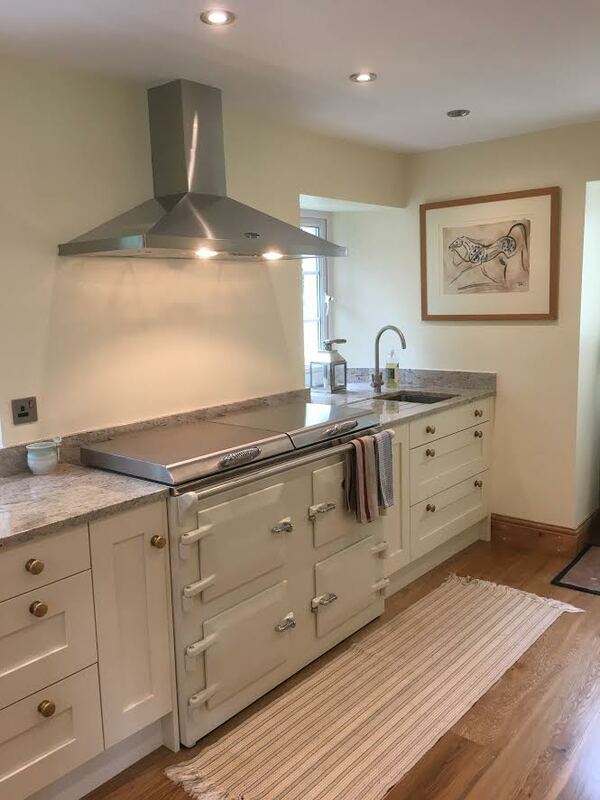 A job well done and an amazing kitchen. 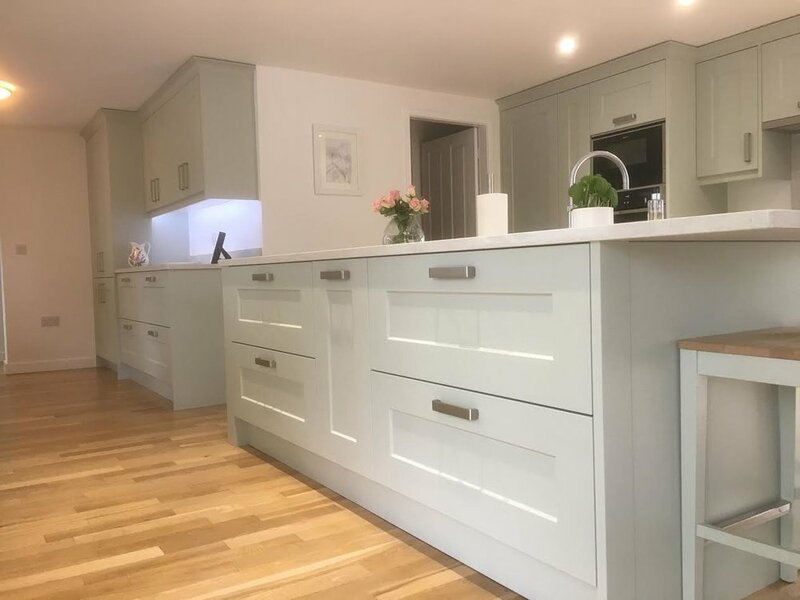 "We would have no hesitation in recommending Lakeland Kitchens to anyone looking for a personalised and highly professional service"
A huge thank you to everyone at Lakeland Kitchens for helping us to realise our lovely kitchen. 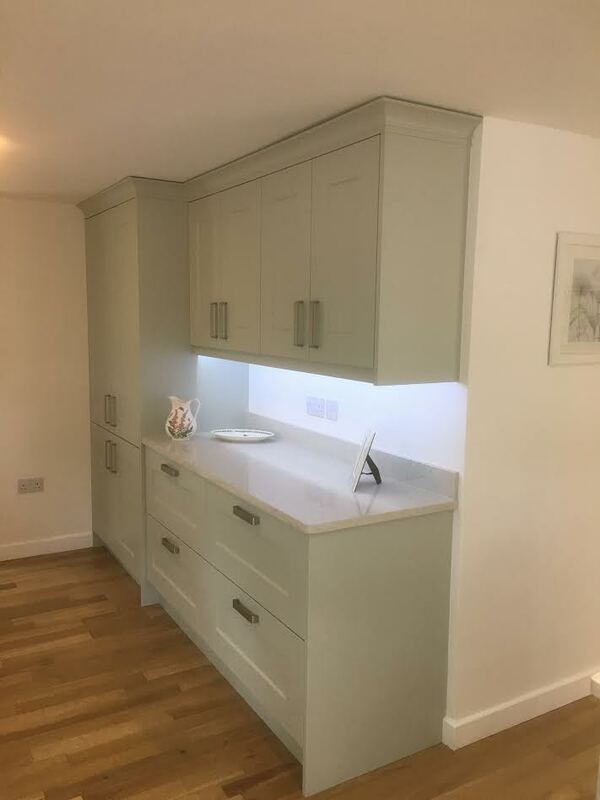 We have been extremely impressed by all aspects of this project, not least, the special team of people involved who have worked so hard to ensure that everything ran smoothly, to time and on budget. Special thanks to Nigel for his superb project management skills and to Ewan, our friendly, hard-working and helpful fitter, for the quality of his workmanship. 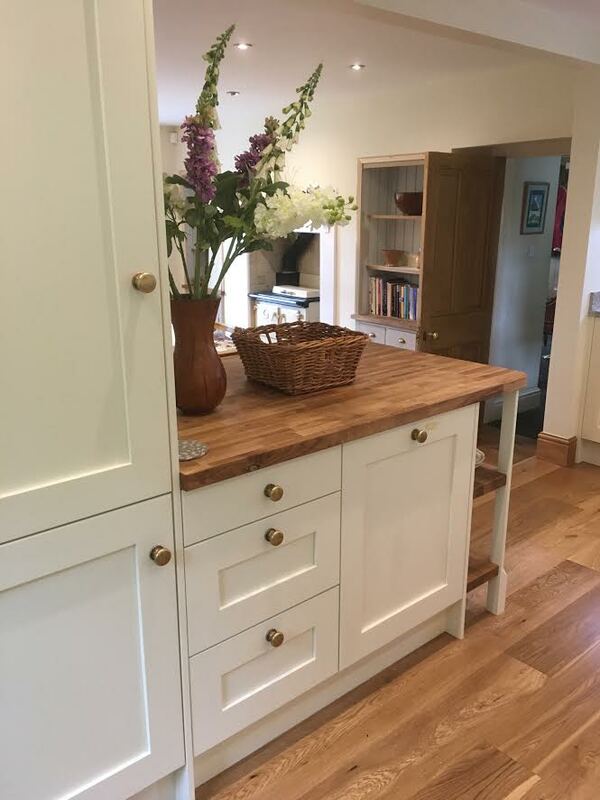 Thanks also to Sam for helping us to create the vision for our kitchen and to the different trades throughout the process, we have met some excellent local tradesmen. It has been a pleasure to get to know everyone and to have all of the work completed to such a high standard. 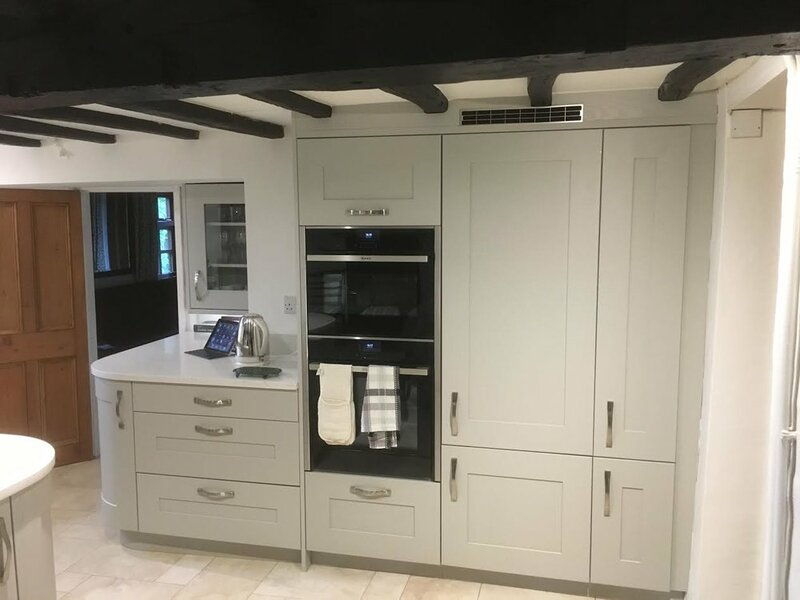 We would have no hesitation in recommending Lakeland Kitchens to anyone looking for a personalised and highly professional service.